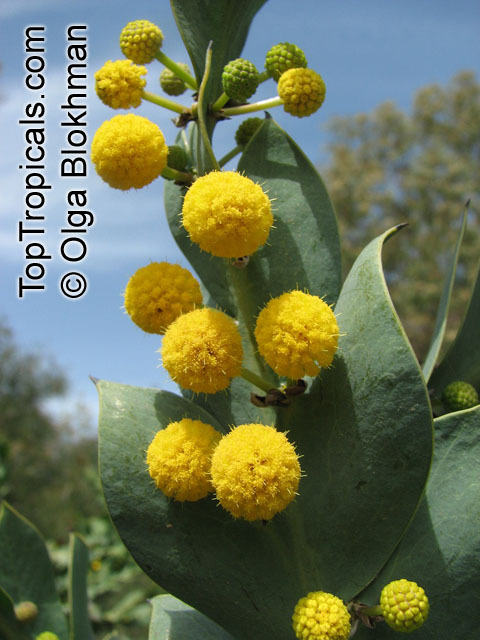 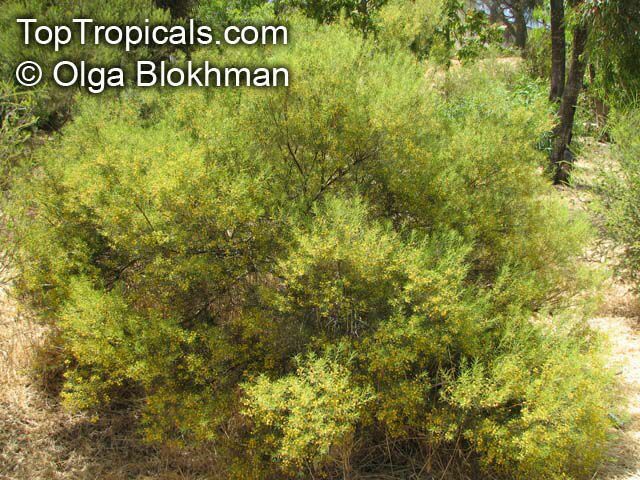 Unusual, straggling shrub to 1 m high and 1 m across. 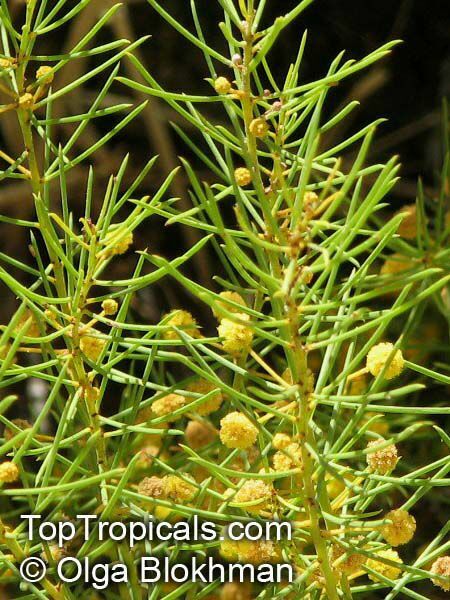 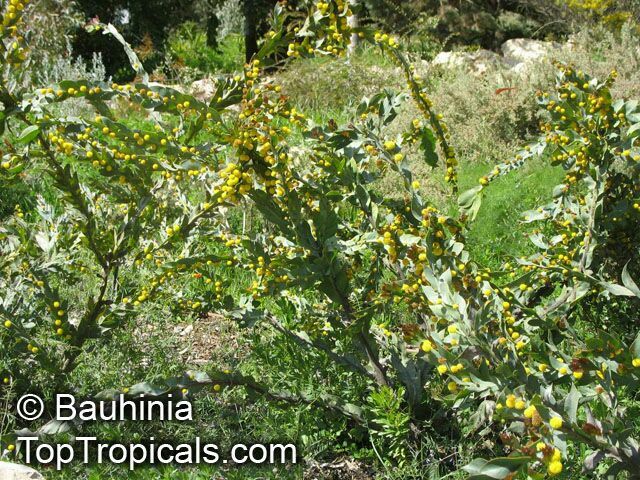 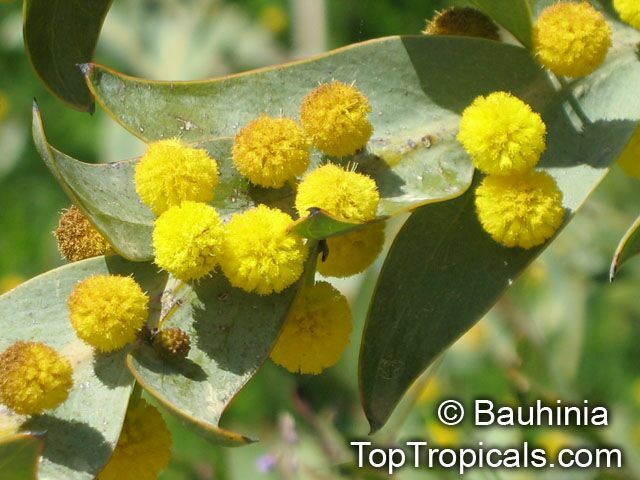 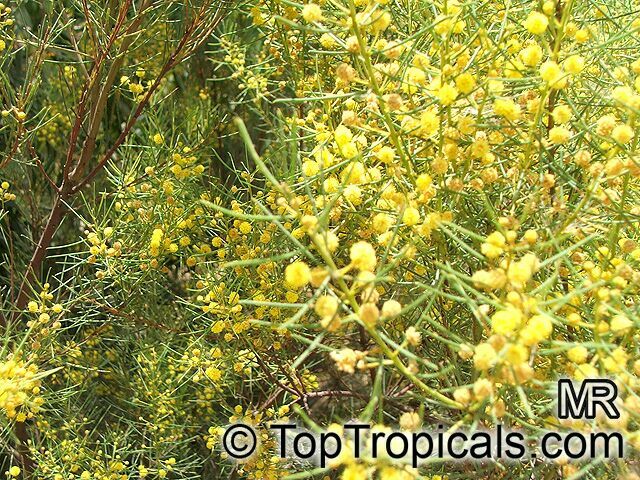 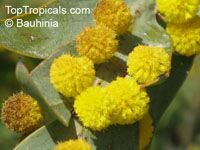 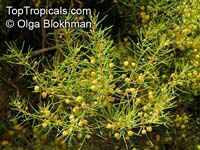 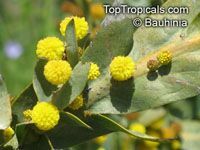 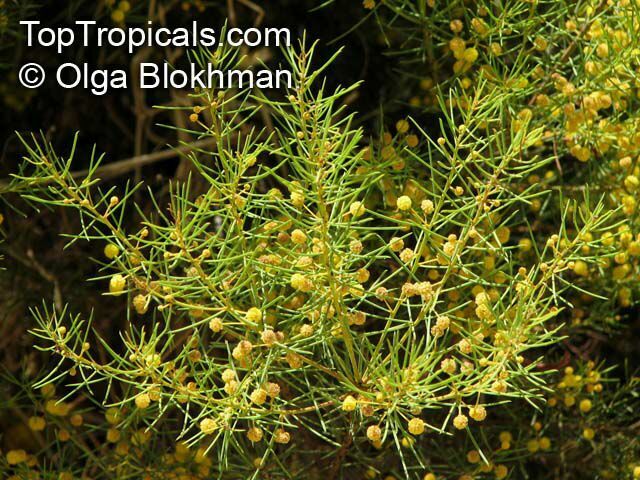 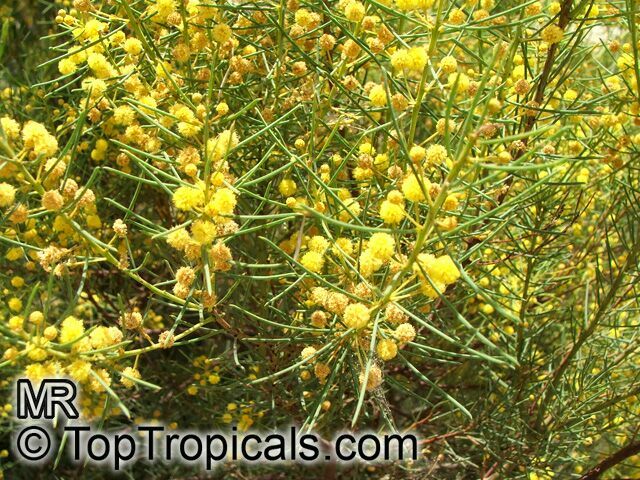 Wing-like phyllodes appear like cladodes with yellow globular flowers emerging from central stems in spring. Drought-tolerant; suitable for xeriscaping. 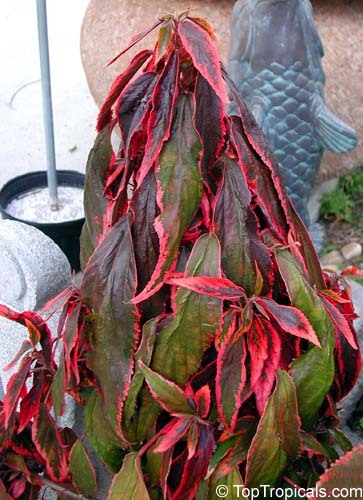 Suitable for growing in containers. 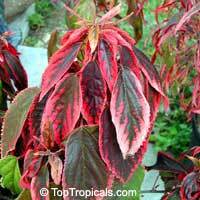 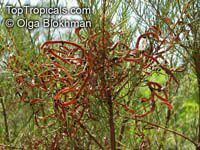 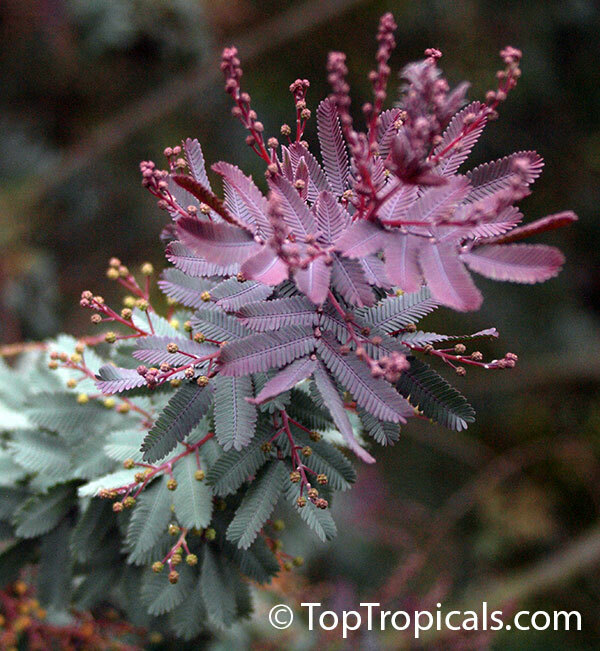 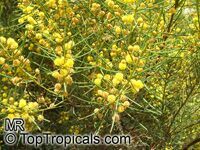 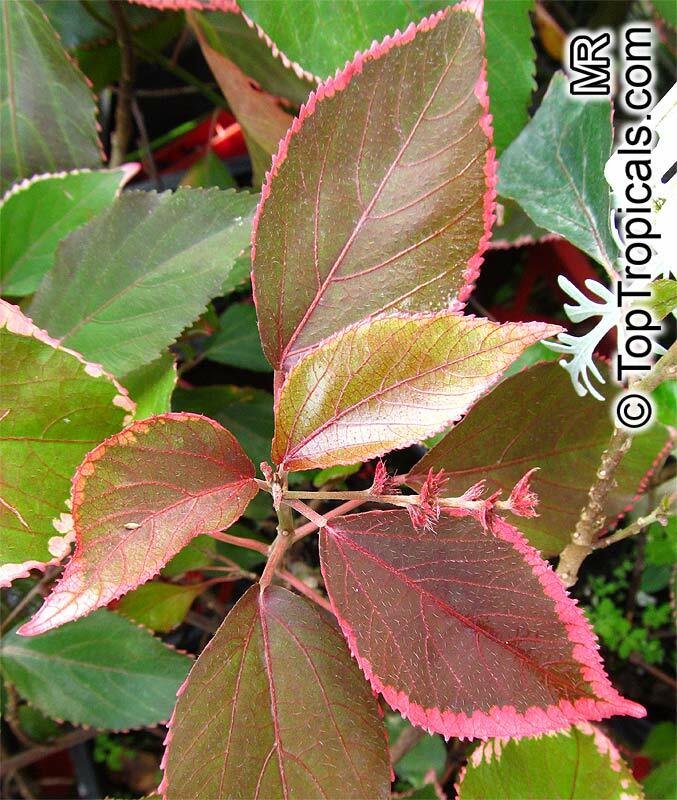 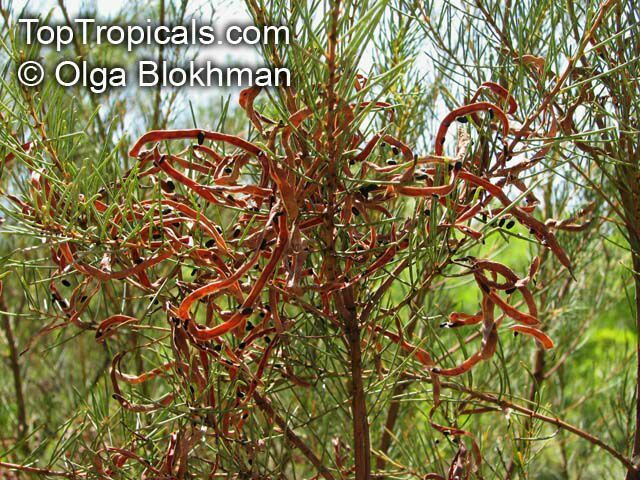 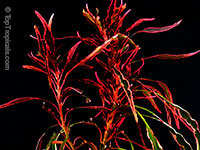 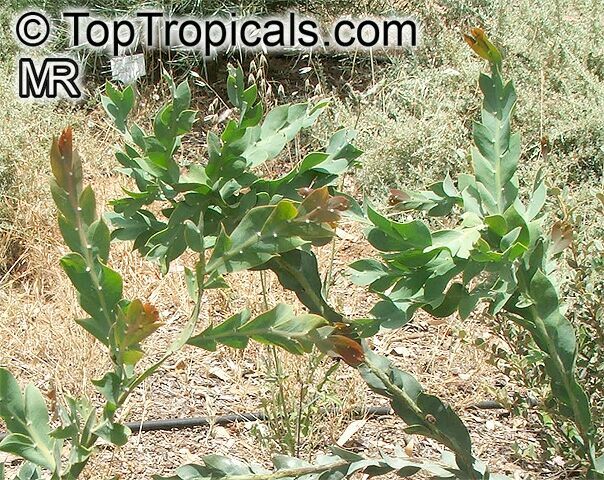 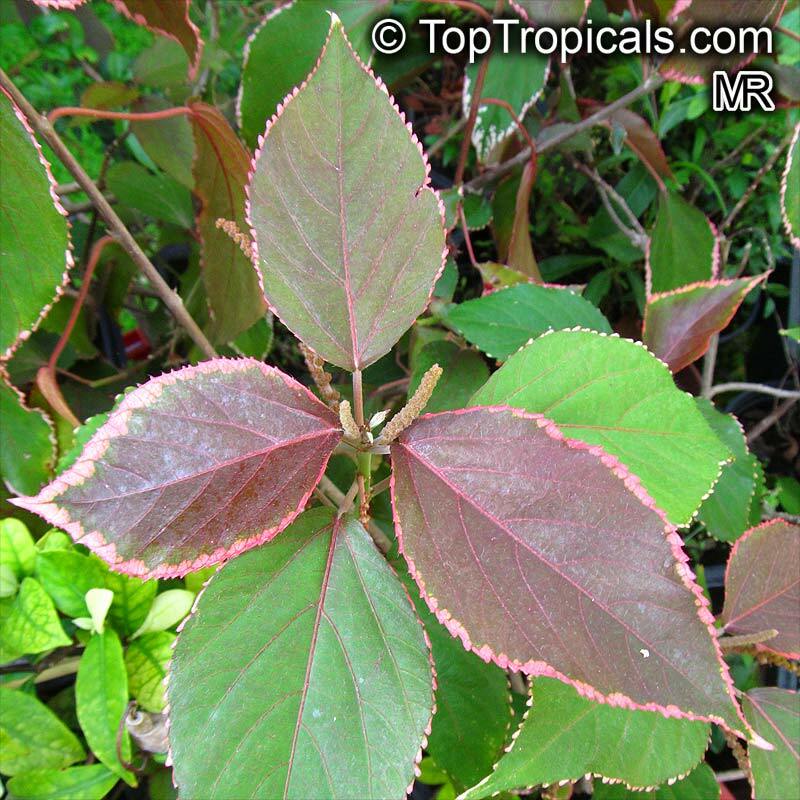 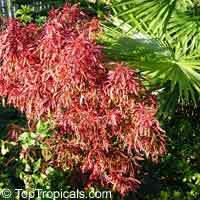 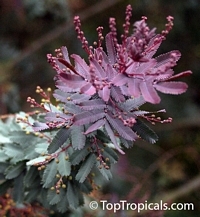 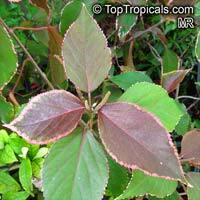 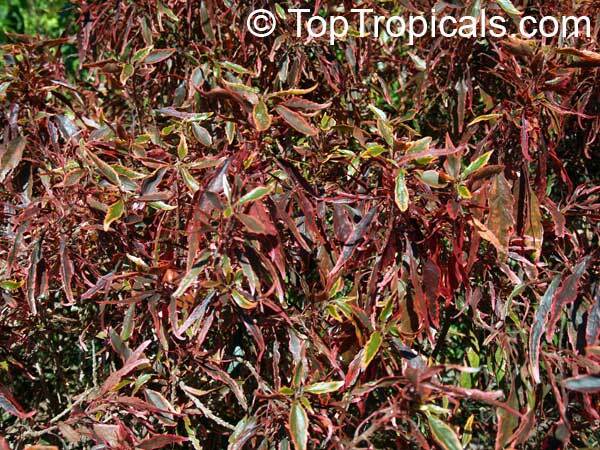 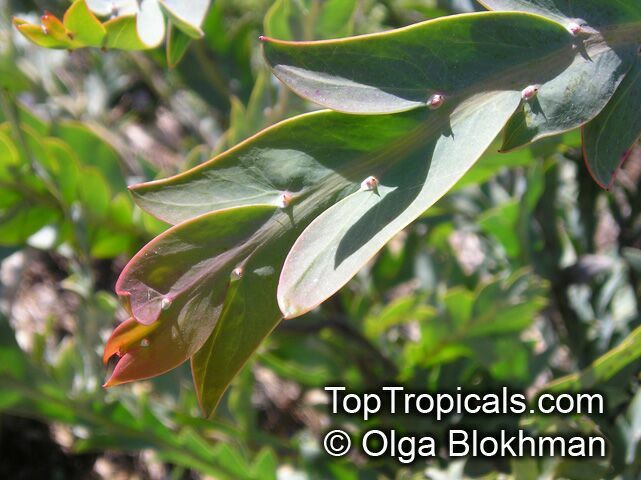 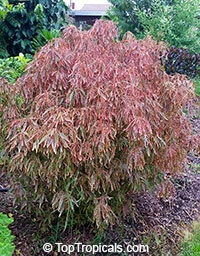 A very colorful tropical shrub grown for its attractive reddish leaves. 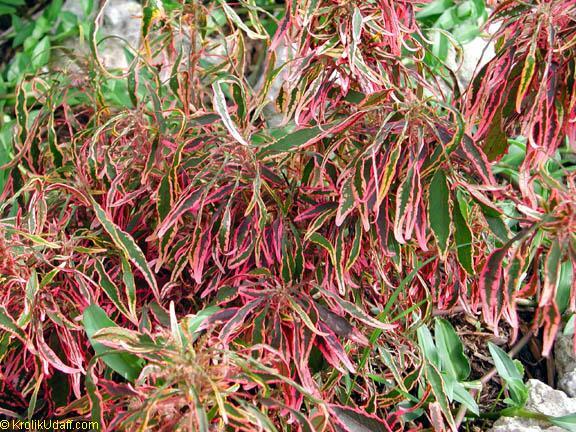 Beautiful foliage of mixed shades of red, yellow and green. 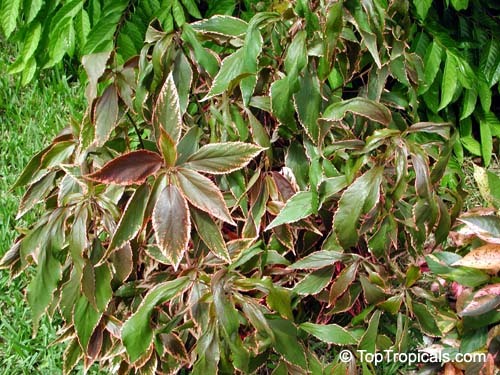 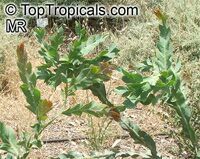 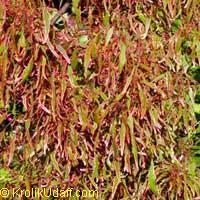 Leaves, much smaller than ordinary copperleafs, are orange/red in the full sun and mostly variegated/green in the shade. 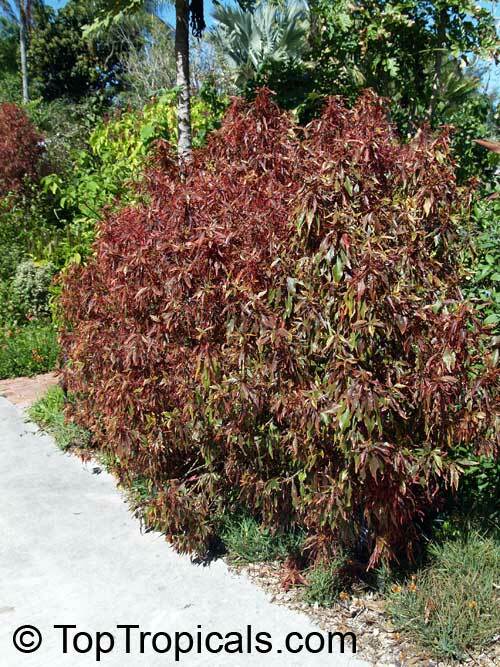 The more sun the more color the leaves will get. 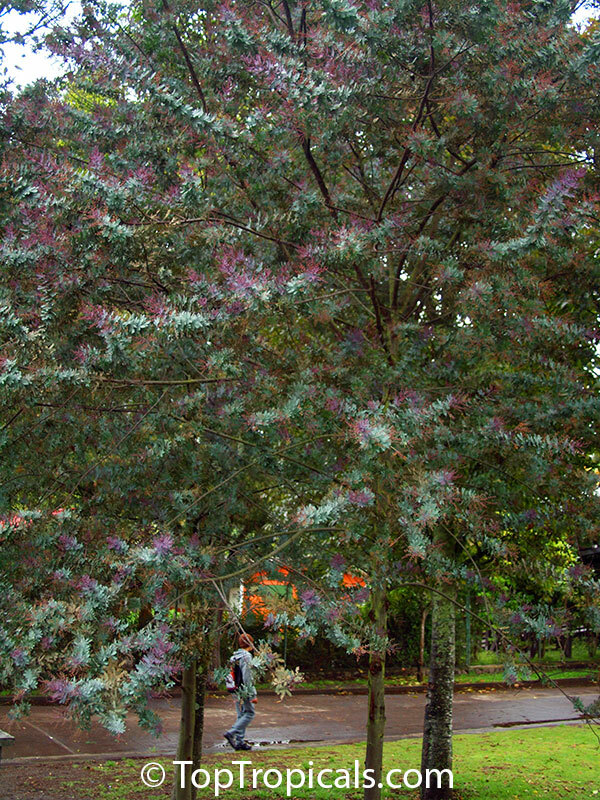 Fast growing. 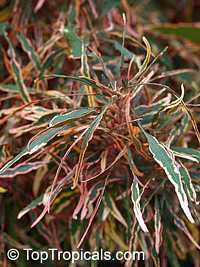 A native of the East Indies and the Pacific, this is one of the most striking foliage shrubs and is widely used by tropical gardeners. 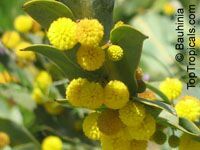 Cultivars of A. godseffiana are found in a wide variety of colors: green and white, green and yellow, red, bronze, copper, or brown. 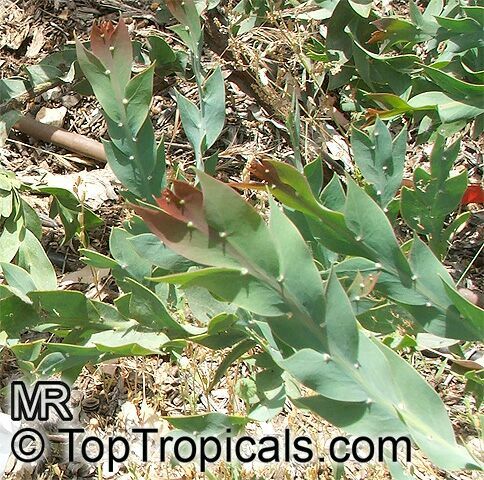 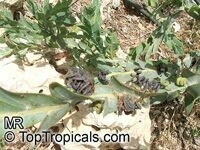 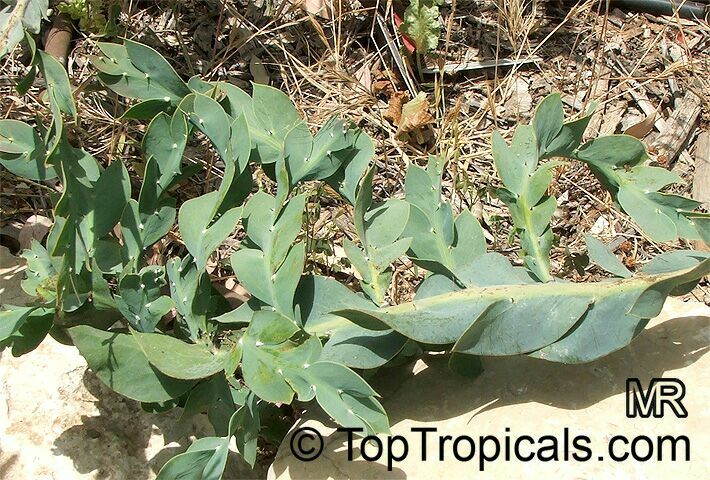 The leaves also vary in form, some being flat and others undulating, while the flowers are inconspicuous. In a garden, where they are often used as informal hedges or in massed beds, all Acalypha species require full sun, well-drained soil, and careful pruning to prevent them from becoming leggy. 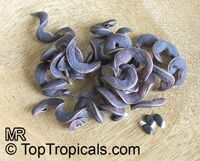 They are easily propagated by cuttings. 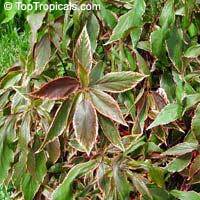 A very colorful tropical shrub grown for its attractive reddish leaves. 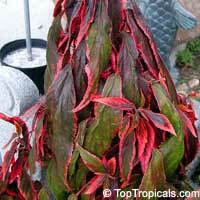 Beautiful foliage of mixed shades of red, yellow and green. 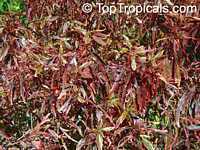 Leaves, much smaller than ordinary copperleafs, are orange/red in the full sun and mostly variegated/green in the shade. 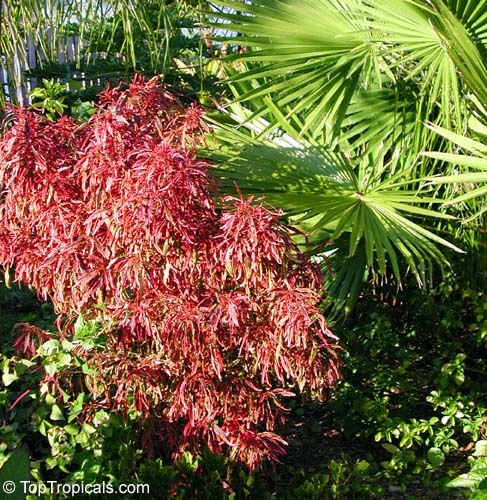 The more sun the more color the leaves will get. 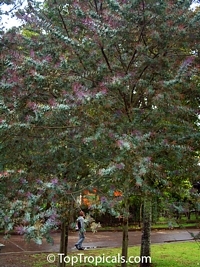 Fast growing. 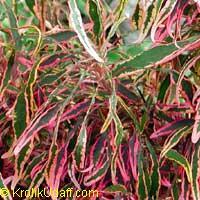 A native of the East Indies and the Pacific, this is one of the most striking foliage shrubs and is widely used by tropical gardeners. 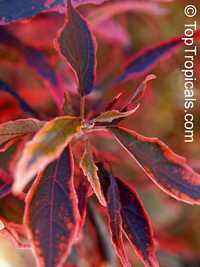 A very colorful tropical shrub grown for its attractive reddish leaves. Beautiful foliage of mixed shades of red, yellow and green. Leaves, much smaller than ordinary copper leafs, they are orange/red in the full sun and mostly variegated/green in the shade. 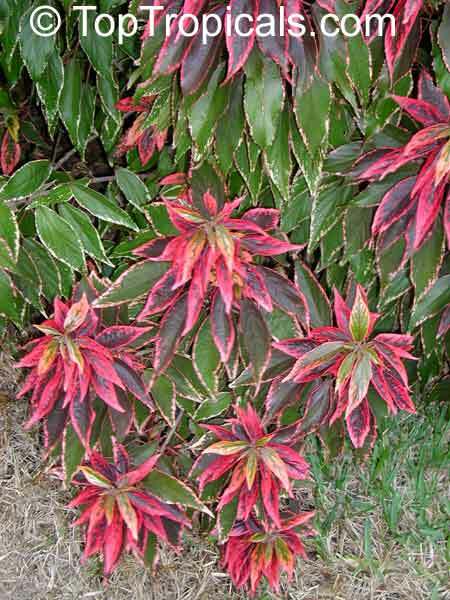 The more sun the more colorful the leaves will get. 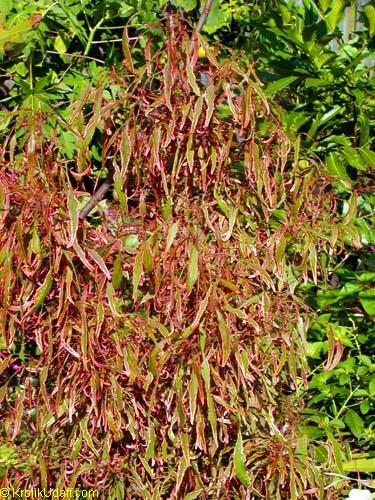 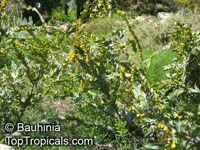 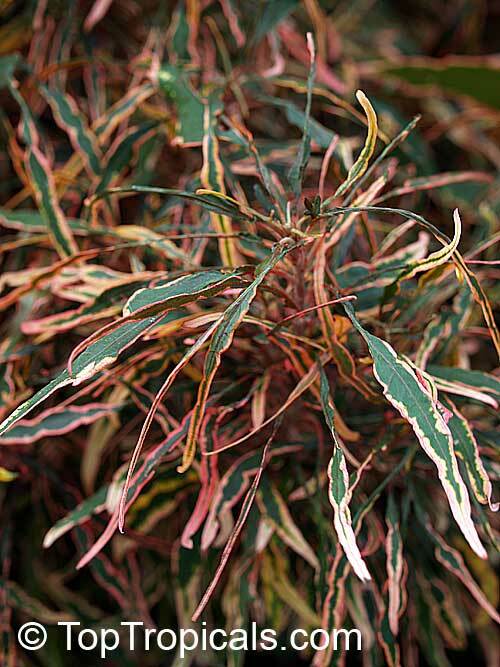 Fast growing, a native of the East Indies and the Pacific, this is one of the most striking foliage shrubs and is widely used by tropical gardeners. 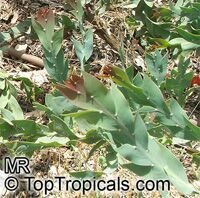 The leaves also vary in form, some being flat and others undulating, while the flowers are inconspicuous. 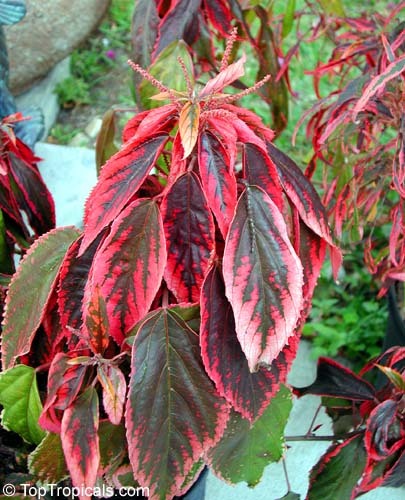 In a garden, where they are often used as informal hedges or in massed beds, all Acalypha species require full sun, well-drained soil, and careful pruning to prevent them from becoming leggy. 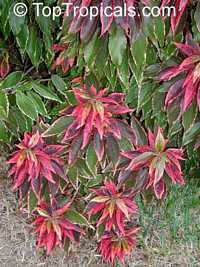 They are easily propagated by cuttings.